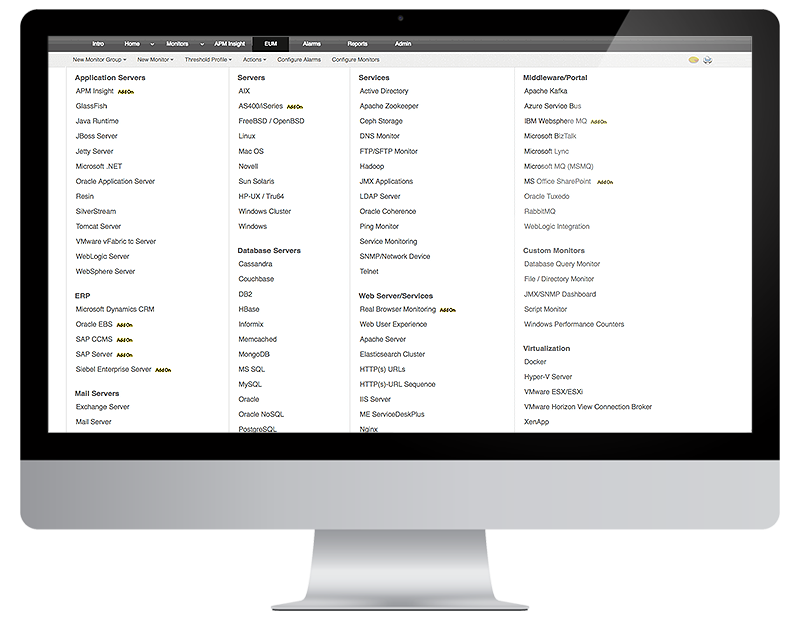 Supports over 100 popular technologies across server, virtual machines, cloud applications, application servers, databases, big data stores, middleware & messaging components, web servers, web services & ERP suites. Detect anomalies in the performance of your apps and servers by fixing baseline values for metrics. Identify in an instant, fix in another! ManageEngine Applications Manager can help manage SLAs by monitoring the availability and performance of your mission critical business applications and ensure you derive higher business value through better management of IT and IT processes. World Map Business View in Applications Manager enables network administrators to get a comprehensive understanding of how distributed your network really is. You can visually represent the status of all your monitor groups across the globe.